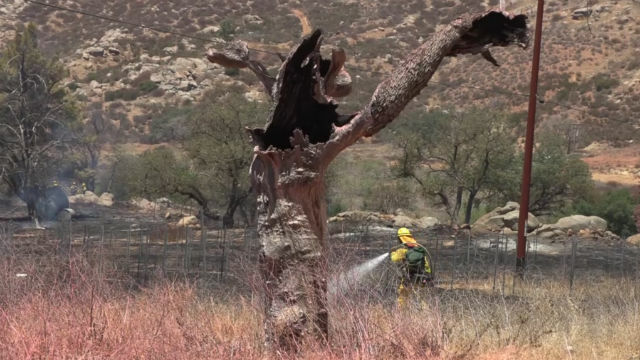 A wildfire broke out off Old Julian Highway east of Ramona, but firefighters quickly stopped its forward movement. Just after noon, Cal Fire reported that the blaze covered 14 acres and was 25 percent contained. The so-called Casner Fire was being fought by both ground and air units amid 100-degree temperatures. Firefighters arrived on the scene just before 11 a.m. near the intersection of Old Julian Highway with Creek Hollow Drive, about midway between Ramona and Santa Ysabel.